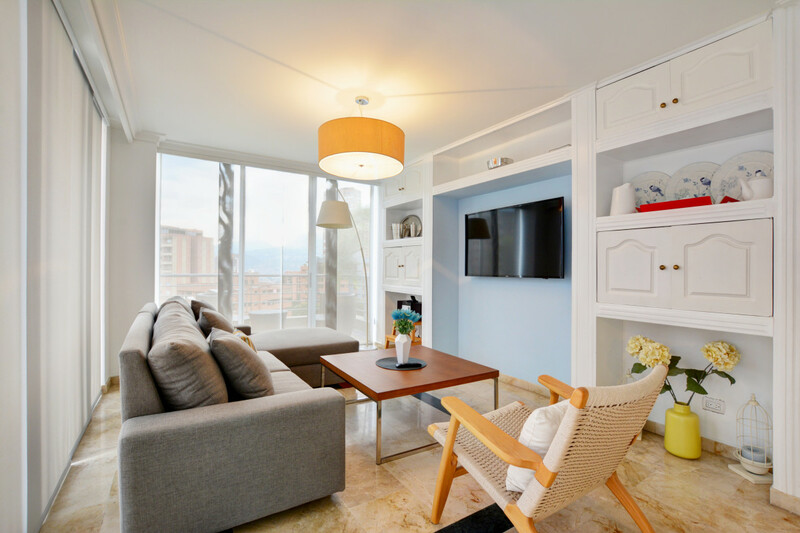 With a perfect mixture between modern, neutral décor and funky colors, this 2-bedroom triplex penthouse feels like your Colombian home away from home. 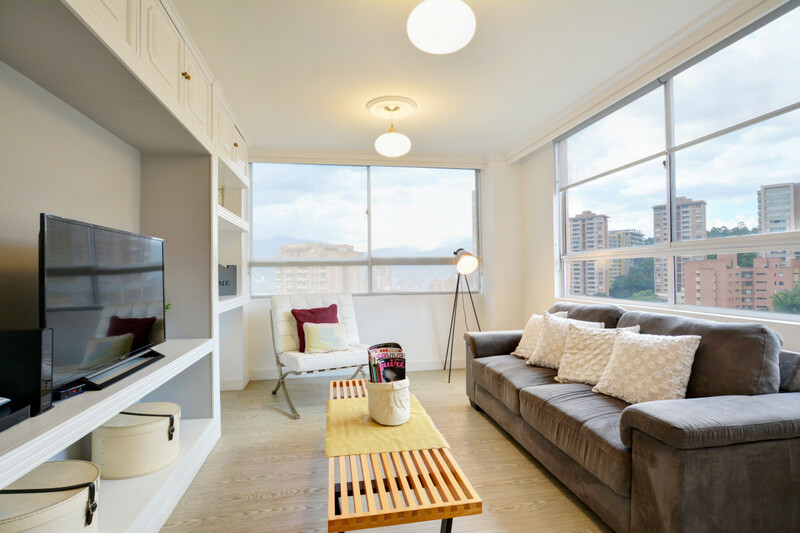 Relax and put your feet up in the open living room with plenty of natural light flooding in through the floor-to-ceiling glass balcony doors that open all the way. 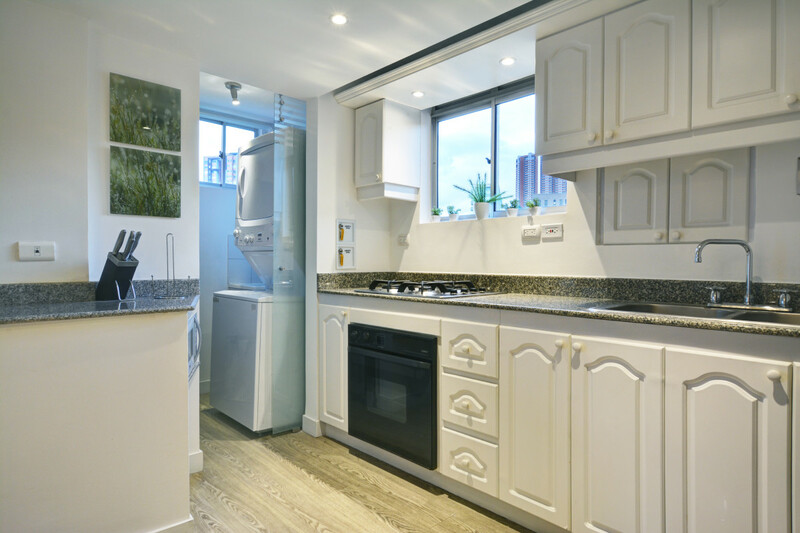 The fully-equipped kitchen has everything necessary for cooking meals or dining in, and with a very large fridge/freezer, you will never be short of space. 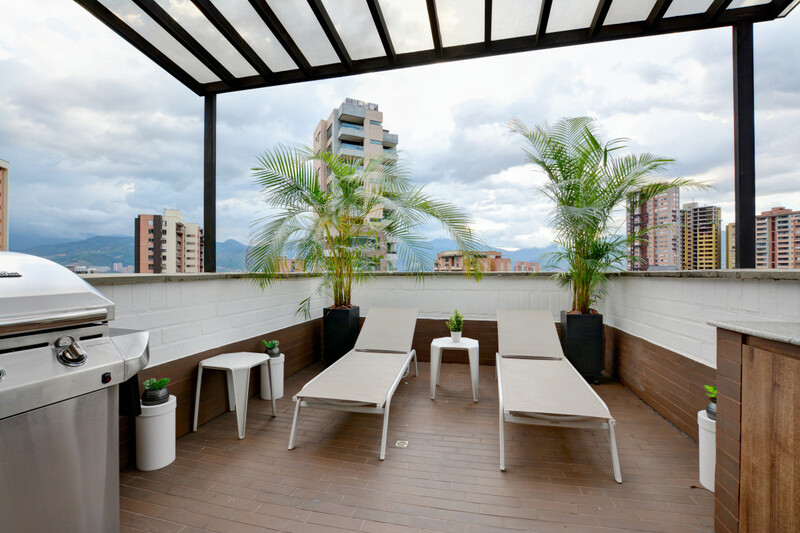 Why not whip up a cocktail after a long day exploring the city and enjoy it while sunbathing on the rooftop terrace. 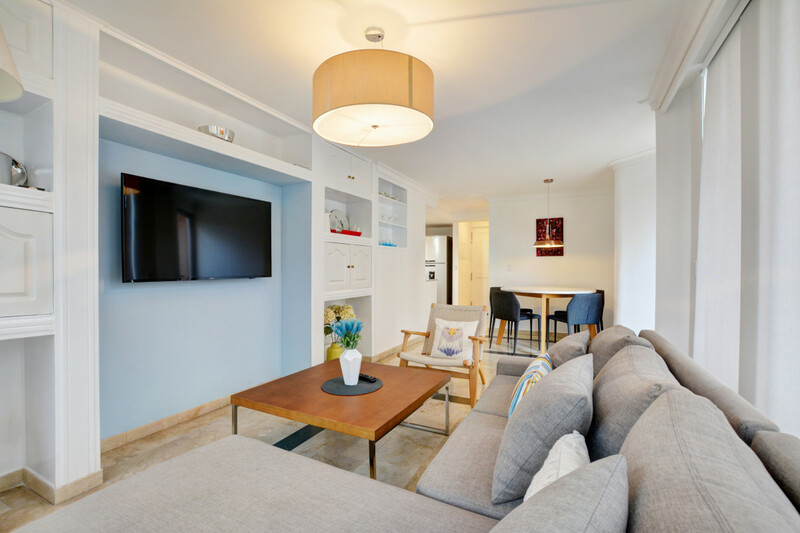 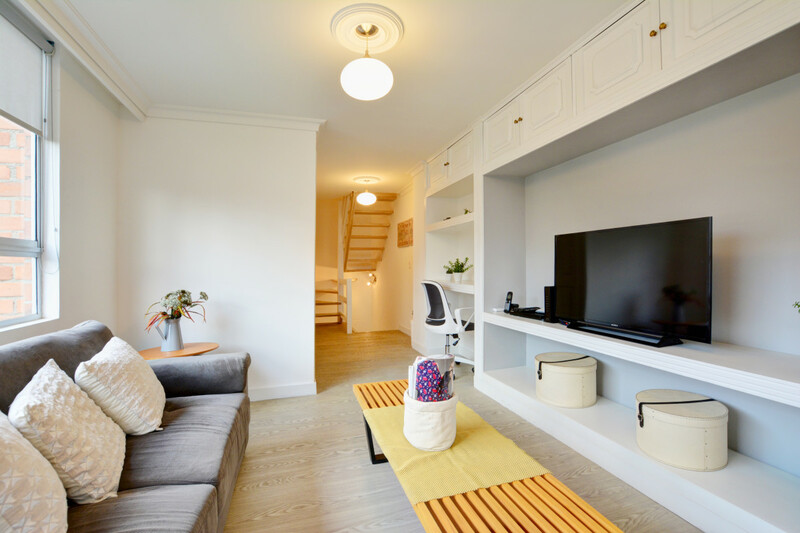 The second level of the unit features a lovely den with a 49" TV, perfect for a TV series marathon in the afternoons. 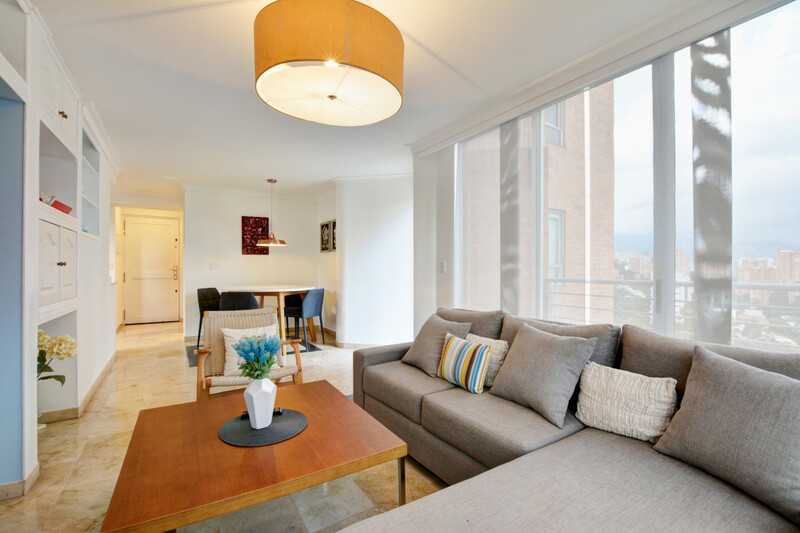 The dedicated workspace on the same floor allows you to comfortably work from home if needed. 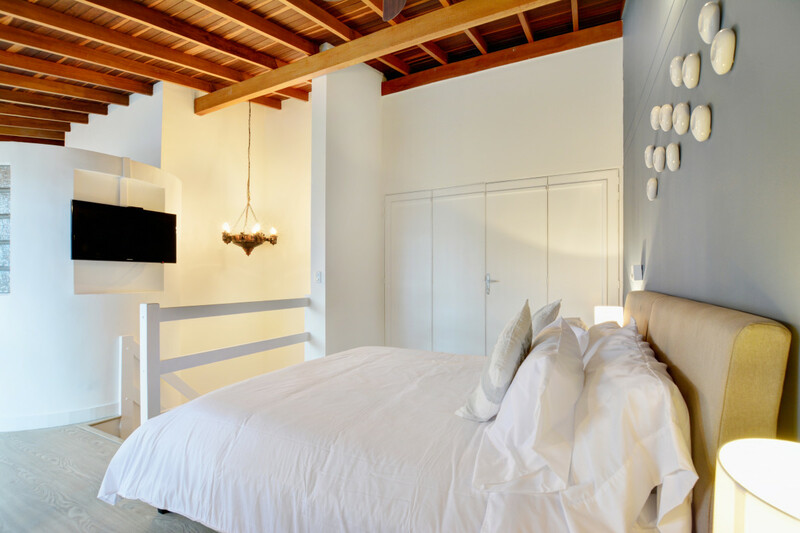 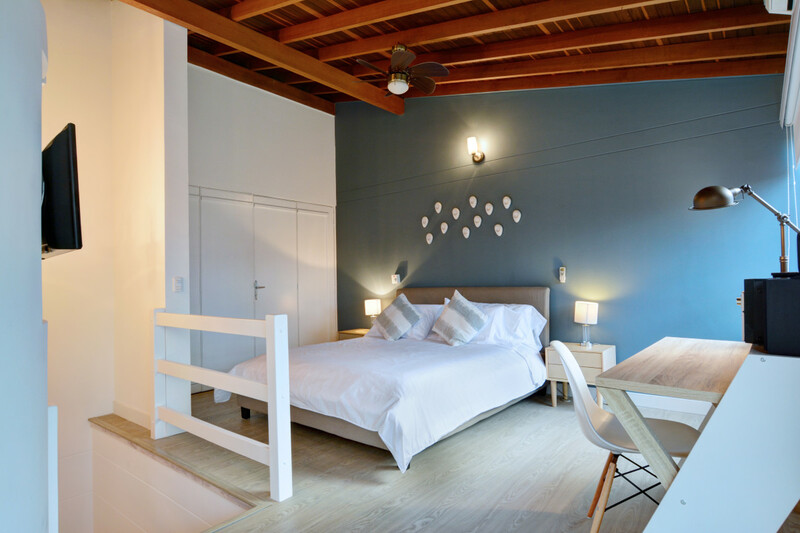 The bedroom features a double cozy bed, TV, black-out curtains and air conditioning. 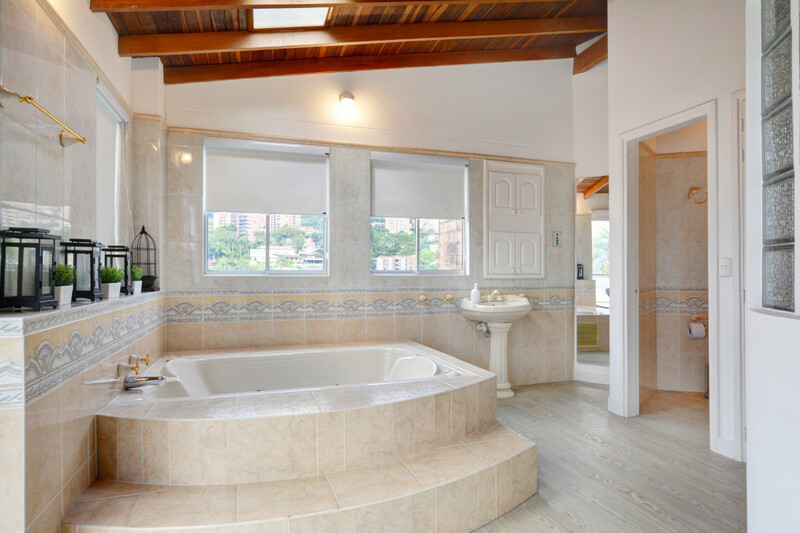 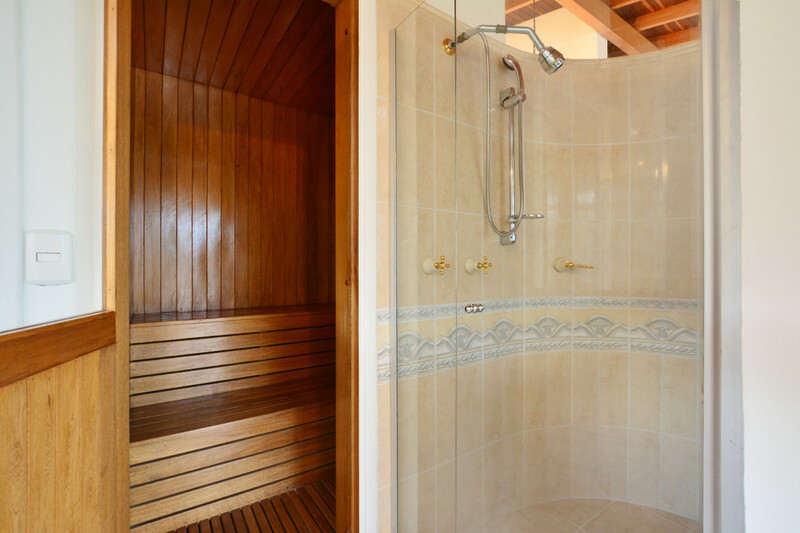 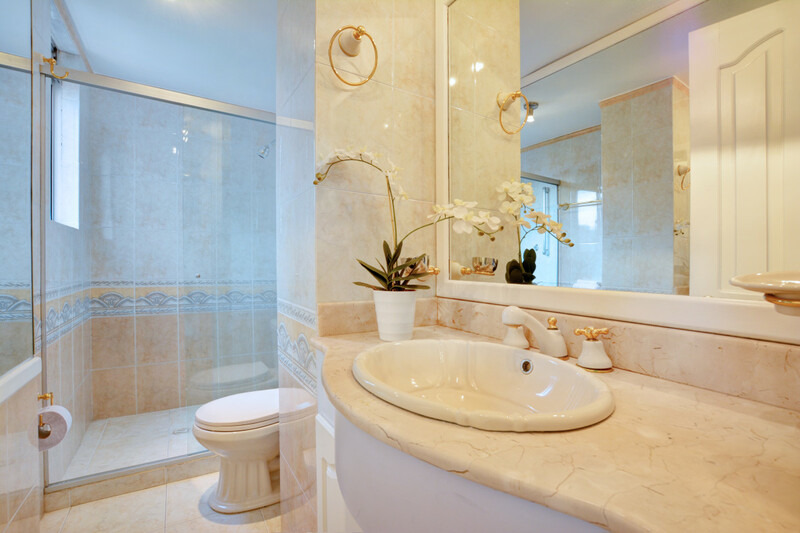 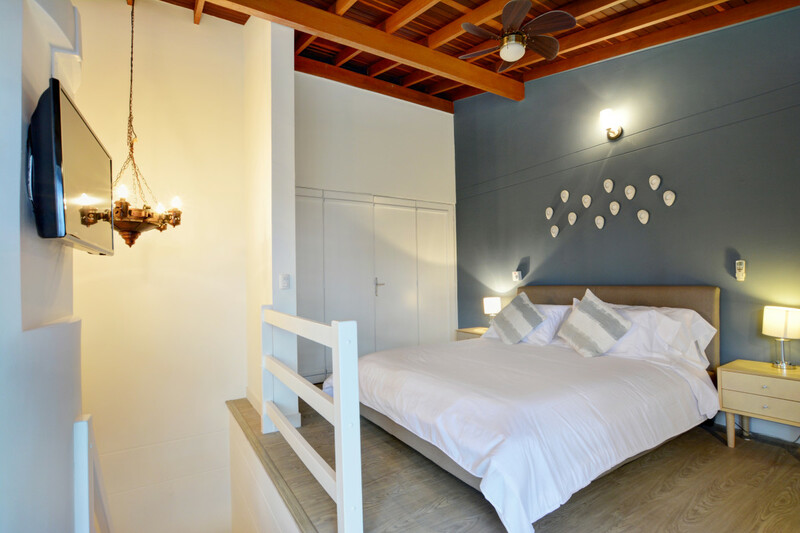 This delightful home boasts an en-suite bedroom on the last floor, with a plush double bed, TV, air conditioning, work desk, jacuzzi bathtub, bathroom with shower and a sauna. 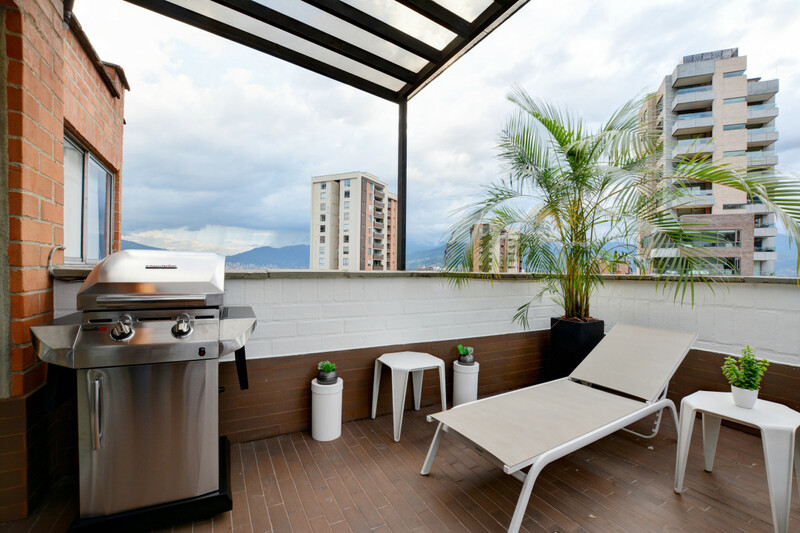 It opens up to a terrace with two sun chairs, cooking area and BBQ. 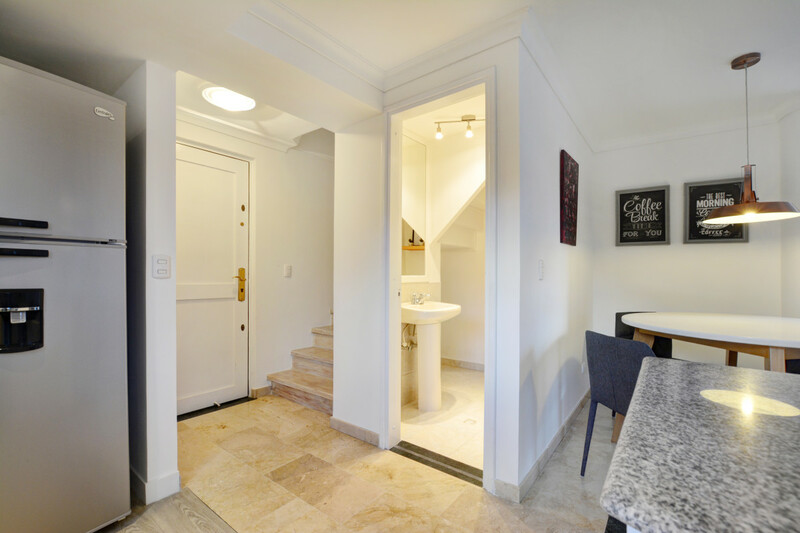 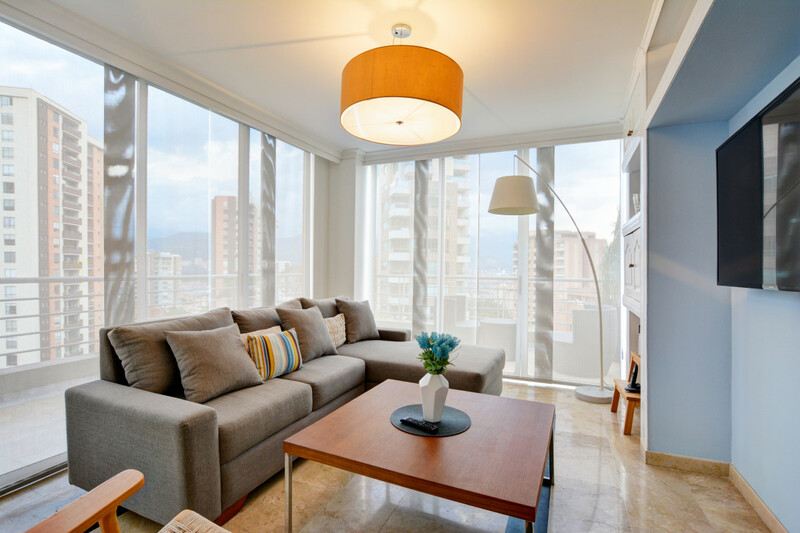 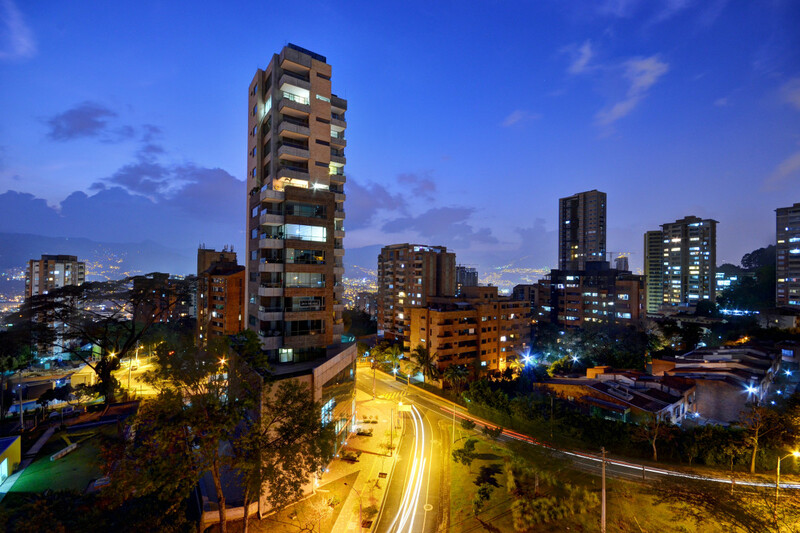 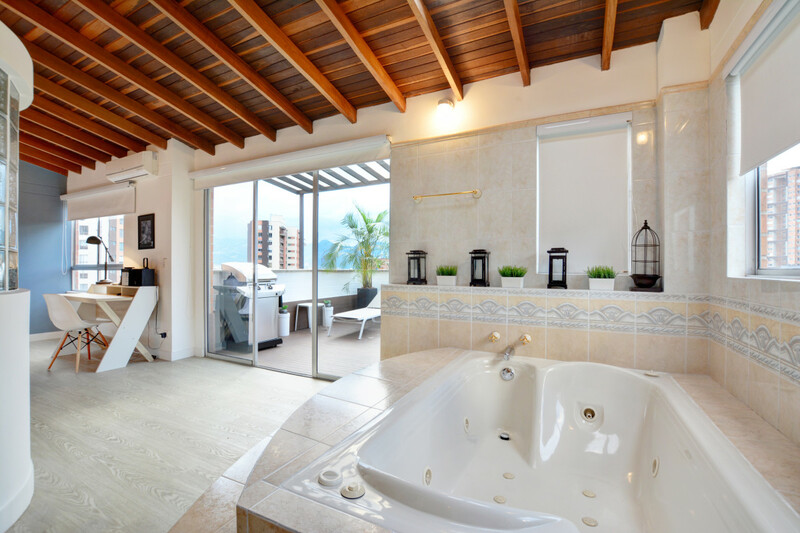 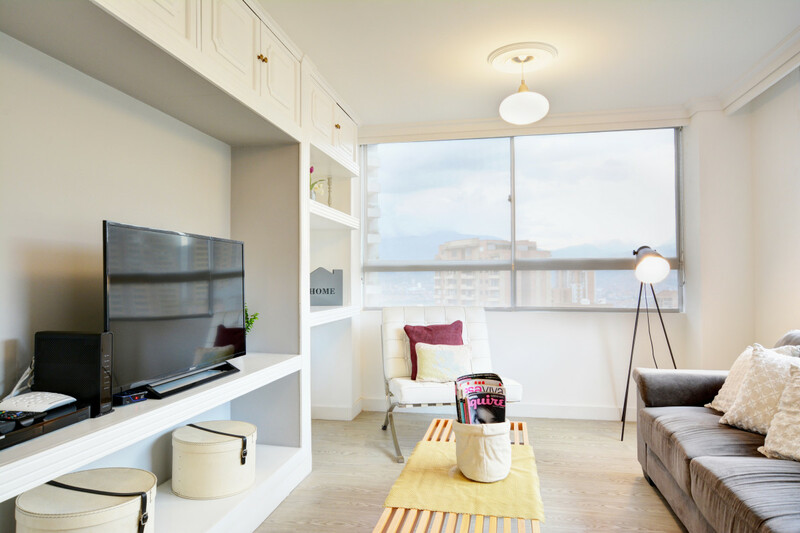 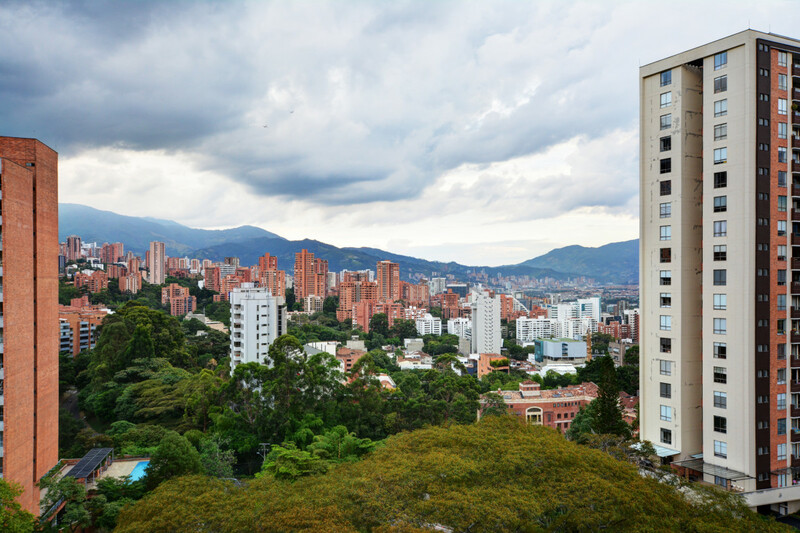 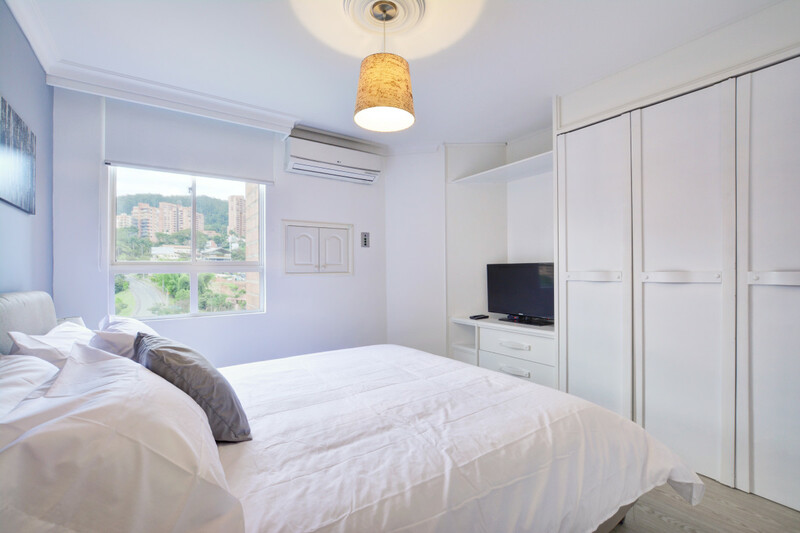 Its perfect location on the 34 street keeps you away from the noisy side of the city, yet close enough to the trendy Provenza area of Poblado, for when you want to hang out in nightclubs and cafés with Medellín's "jet set" crowd. 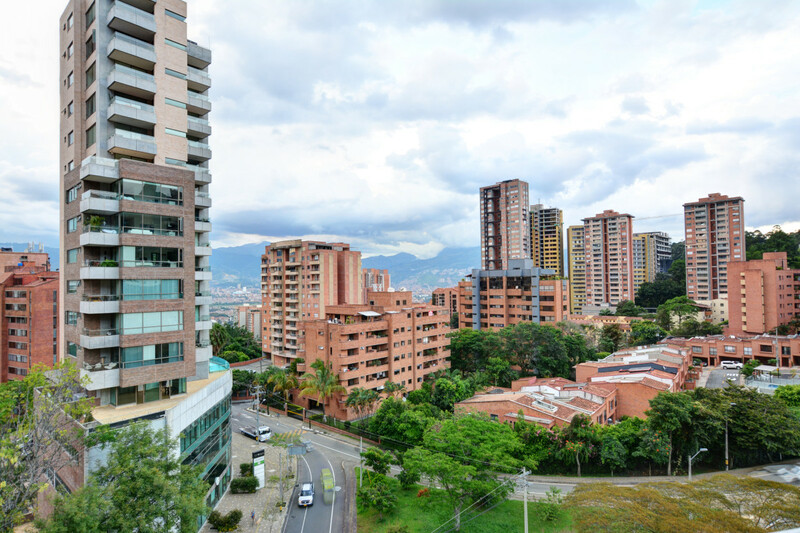 A smooth 5 minutes cab ride will take you straight to the most lively atmosphere in town, where you can walk amongst chic restaurants, bars, and clubs, many with open-air patios or terraces.